1. Don't allow strangers to view your home without a Realtor. 2. Leave lights on during showings. - This way buyers and Realtors can move through safely. 3. Ask your neighbors to help keep an eye on your property. - When your house is on the market unusual activity is normal. Criminals take advantage of this. 4. Request visitors enter and leave through the same door. 5. Request visitors sign a guest book and have Realtors leave their business cards. 6. 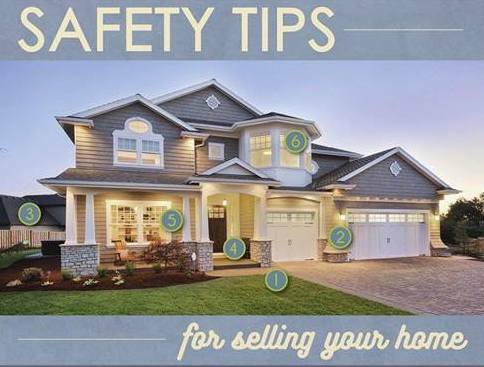 After a showing, check all the windows, doors and other entrances to make sure they are locked. 7. Make sure to secure: valuables, keys, credit cards, mail, paperwork with personal information, prescription drugs and family photos.